I want to make some candles, or rather, remake some cheap candles I picked up at a thrift store into other scented candles. I make my own wicks, which isn't that hard. They are made with cotton kitchen twine (any kind of cotton twine will do, but I like the kitchen twine). I usually buy mine on Amazon, but when they raised their minimum purchase to $35, I virtually stopped shopping there. It's so easy to find items at comparable prices with free shipping on eBay, I usually just buy there now. 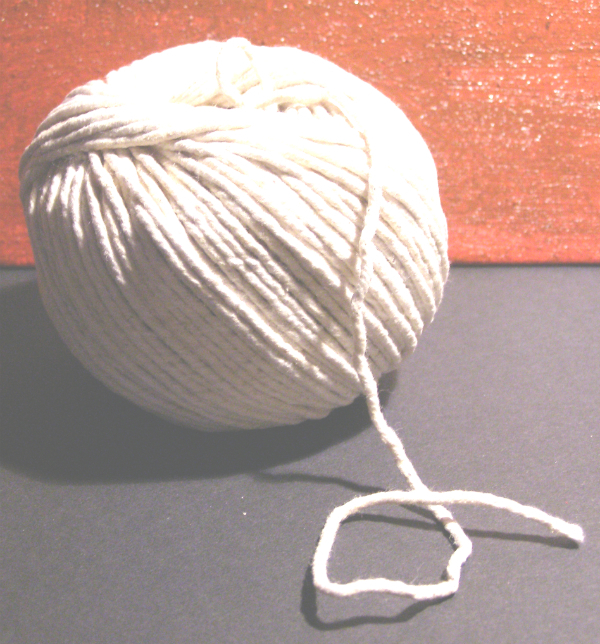 So I found the kitchen twine on eBay for $4.43 for 220 feet, which lasts me a very long time. I really didn't want to wait for delivery, though, so I thought I'd look to see if WalMart had any in the store. Nope, but they do have THE EXACT SAME NorPro twine for $9.55. GEEZ! That is more than TWICE what they want on eBay, but WAIT -- there is MORE! To have it shipped to you, it's an additional $6.99! WOW! So let's compare prices - eBay $4.43 with free shipping or WalMart $16.54 with shipping. Which one do you think I chose? The lesson here is that you have to careful and compare prices online. Don't assume WalMart always has lower prices, because it's not true. Many of the items sold in their online site don't even come from them. This twine is shipped direct from the manufacturer, which is where? Could be China for all we know. The eBay twine comes from Washington state, which may take a few days to get here, but for that kind of savings, I'll take it. Amazon has gone mad with their $35 minimum and saying they are planning delivery by drones (what has Jeff Bezos been smoking?). Selling on eBay may be insane, and fees are off the wall, but I find that more times than not as a buyer, I get a decent product at a decent price, free shipping and it is delivered pretty quickly through eBay. I used to hate eBay, and would not order from them, but after a few pleasant experiences, I now look there first.